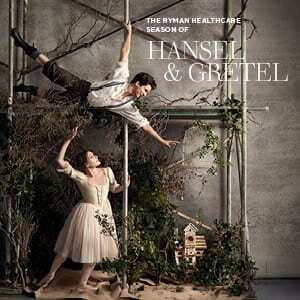 For Christmas 2019, the Royal New Zealand Ballet is proud to present a new two-act ballet of Hansel & Gretel, with choreography by Loughlan Prior and a specially commissioned score by Claire Cowan, performed live by the Christchurch Symphony Orchestra. This major premiere brings together many of New Zealand’s creative talents to tell a timeless tale for audiences young and old. Hansel & Gretel will be the first full length ballet score ever commissioned from a female composer in RNZB’s history, performed live by the Christchurch Symphony Orchestra.